Hello Divas! 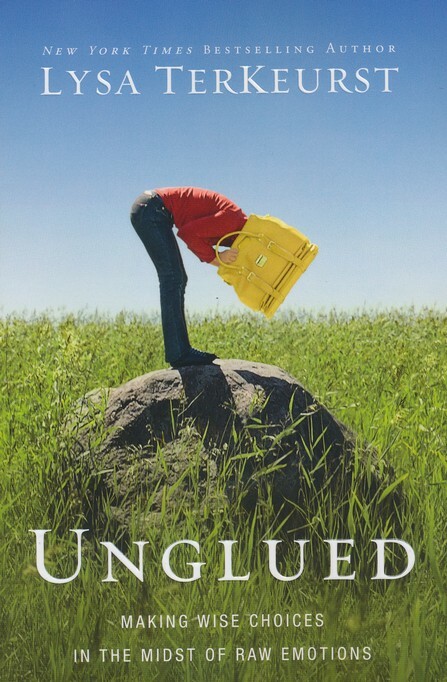 Welcome to week four of our Unglued Bible Study! During our last discussion, Lysa Terkeurst (the author of our study), explained the true purpose of unglued moments: “God doesn’t allow the unglued moments of our lives to happen so we’ll label ourselves and stay stuck. He allows the unglued moments to make us aware of the chiseling that needs to be done.” AMEN! At the end of our time together, Lysa challenged us to practice pausing and whispering “Let God Chisel” before reacting to difficult situations. We added our own twist to the challenge with the addition of the word REMEMBER. Taking the time to pause allows us to remember how God has worked things out before and that He is in control. They, just like us…did not remember. Psalm 106:13 describes how the Israelites became unglued after God parted the Red Sea and allowed them to cross yet drowned the Egyptian soldiers chasing them: But they soon forgot and did not wait for his plan to unfold. Too often, we come unglued and forge ahead into rash decisions, mean-spirited words, and anxiety because we forget to wait for His plan to unfold. Let me be clear…..I have had PLENTY of opportunities since our last meeting alone to come UNGLUED. I wish I could tell you I remembered to let God chisel every time, but I did NOT! This study is just what I need right now and it is stepping all over my diva toes! Thank God for imperfect progress…”slow steps of change wrapped in grace”. What are some things you can do to help you Remember to Let God Chisel in unglued moments? Tell me in the comments….I need some fresh ideas!